On our way to the summit, the sun had just broken the skyline somewhere to the east. I could see blades of light cutting out from the ridgeline 1,000 ft above as I twisted off my headlamp. A deep feeling of serenity came over me as my heart was thumping compulsively and my eyes were fixed on a spectacular sunrise. Two beats passed. I found my breath and followed it to the rise and fall of my chest. I had so much time to think and appreciate what was in front of me. “You’re going to be living beneath this mountain for the next several months,” I said to myself as I turned to reach for my water bottle and Frosted Flakes. Seasonal work has definitely taken a toll on me. It’s lead me to some pretty gnarly adventures with some really awesome people, from horseback riding in Grand Teton National Park, Wyoming to hiking up Half Dome in the Yosemite Valley of California. I’ve run alongside with bald eagles in the Pacific Northwest working in the San Juan Islands, I’ve been stuck in traffic jams because bison or a mama bear with cubs were out-n-about. I was able to view the total eclipse of 2017 with the Tetons as a background. I hiked over 300 miles in Glacier National Park just this past summer and was able to witness the aurora borealis. In Colorado, I learned to ski and went snowshoeing in the backcountry of the Rocky Mountains. I rang in the new year with new found friends from Mexico, Peru, and Argentina. We Americanized a group of Romanians, Croatians, Lithuanians, Thai, Taiwanese, and Bulgarians with a July 4th celebration that included a bonfire we’d never forget. With the help of CoolWorks, I was able to get myself out of my shell and break free from the normal city lifestyle most of us are programmed into. Working in all these wild areas has brought me so many new friends and a delightful library of memories shared. When I find myself back on the road heading towards another summer job, I usually contact people I’ve met via seasonal work and let them know I’ll be in the area. In most cases, we get together for a drink and share some laughs, sometimes they even let me sleep on their couch! Things that were to come from these seasonal gigs were just too fantastic not to share, and so began my love affair with working in National Parks. It’s been a wild ride for sure! It even opened new doors to me as I gained a firm grip on landscape photography. I love these jobs in the wilderness where we humans are visitors and the animals are the homeowners. I feel connected to the earth and the wildlife all around. I was able to volunteer for trail cleanups, clearing the underbrush from forests and picking up litter leftover from some disrespectful tourists. 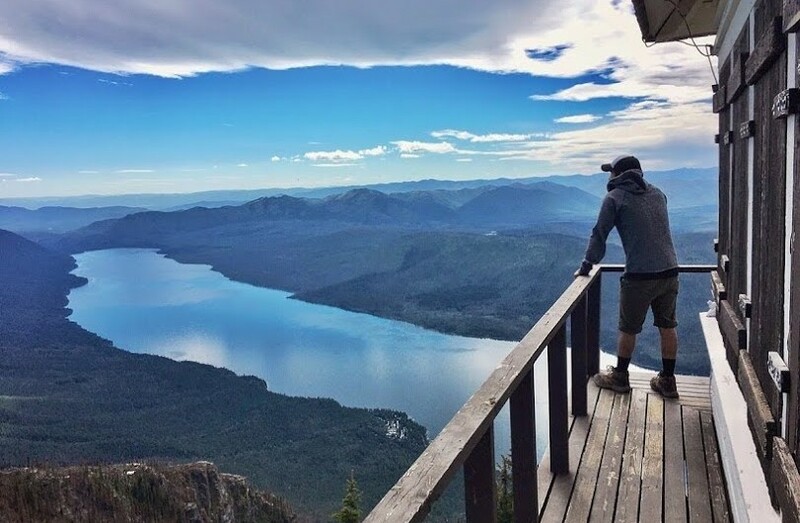 I find myself in Facebook groups now with other people I’ve never met but are connected to the parkie community, in which I can view comments on different national parks, ski resorts, coastal islands, ranches, farms, and even cruise ships. I never know what I’ll be doing the next season – “should I return or pick a different part of the country?” The options that are given to you using CoolWorks are so awesome, and the convenience of being able to pick a state you would love to explore or using their map and seeing what locations are looking for workers is absolutely phenomenal. Yes, I still get to see my family when I plan it out right, but my craving for that next adventure is always running through my veins. Oh yes, working seasonal gigs has taken a toll on my soul. Being far from the noises of crowds and having some pretty epic scenery are just a tiny slice of the pie. I feel my ideas and aspirations unfolding in a different way and out here there’s no hiding from that. Solitude encourages me to reflect. I saw the way I looked at the world begin to change and it was almost in an instant that I had the sudden realization – it’s not what we get in life that makes us happy, I think it’s who we become. So if you have the opportunity to work any of these spectacular places, I say go for it! What’s there to lose? Worst-case scenario, you get eaten by a bear. Kidding! You’ll soon find yourself in places you never thought you’d travel to – doing things you’d never thought you’d be a part of, with people from all over and basking in the ambiance of those glorious sunsets. We invite you to join us! Membership is free!